The house of Versace will be dressing the footballers (as in European soccer) of the Real Madrid team. And we’re not talking athletic gear! 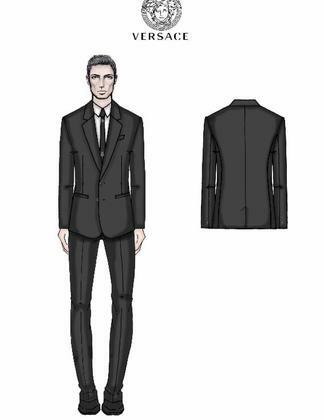 Rather, the label will create “made to measure” suits for each member of the team, complete with a two-button jacket, a crisp shirt, lace up shoes and a tie emblemized with the logos of Versace and Real Madrid. To ward off the cold, players will also receive a chic single-breasted overcoat. “Over the years [The Real Madrid Football Club] has made a huge contribution to the history of international football, just as Versace is a leader sphere style, fashion and luxury goods,” Gian Giacomo Ferraris, CEO of Versace S.p.A., explained. Footballers and Versace, a match made is fashion heaven.